Start by creating a new layer. Choose to create a blank layer. 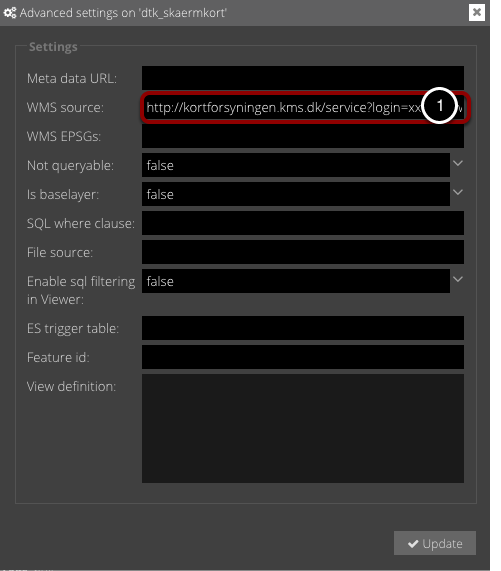 Select the EPSG code the WMS will be requested with. The WMS must accept the selected code. Click the new layer line so that it becomes gray. Type a valid WMS GetMap URL into 'WMS source'. The layer may now be used as a normal layer. The parameters WIDTH, HEIGHT and BBOX is not necessary and will be ignored. The "layers" parameter can have multiple layers. In that case, they will be merged together in Ramani Cloud layer.